You probably don’t forget to vacuum your home once a week because it’s such a routine chore. However, since most residential septic tanks only need to be cleaned every two or three years, it’s easier to forget about them. If you’ve been putting off this task, you could be endangering your home. Below, Johnny’s A-1 Sanitation in Trenton, OH, explains why uncleaned septic tanks are a safety risk. 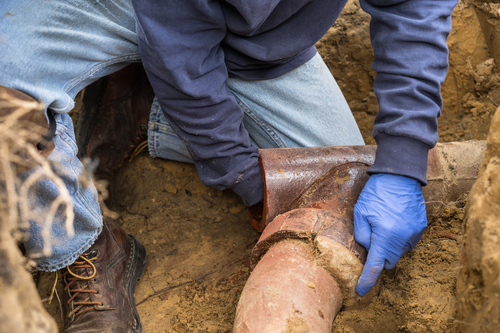 One of the biggest issues associated with unclean septic tanks is burst pipes. When they fill with sludge, grease and other waste can clog the system. As the pressure builds, it can break open the pipes. When this happens, the raw materials will leak into the ground. This pollutes the dirt and water, which can threaten drinking sources and pose a hazard to animals, plants, and humans. If your septic tank goes uncleaned for too long, it can leach materials through the drain field. Sewage and the bacteria that escapes a septic system can cause diseases like hepatitis, stomach viruses, and dysentery as it pollutes the air and groundwater. Part of having a septic tank cleaned is releasing the gas that builds up inside over time as the waste decomposes. Without this important action, it’s possible that methane will build up causing an explosion that could cause injuries as well as property damage and pollution. Maintain a healthy sewage and gas level by getting your septic tank cleaned every few years. You can prevent pollution, explosions, and diseases by cleaning your septic tank system regularly. To schedule a septic tank inspection, call Johnny’s A-1 Sanitation at (513) 423-9382. They’ve been serving Trenton and the surrounding areas since 1949. Visit their website to learn more about their specific services like new system installations, grease trap cleaning, septic cleaning, and repairs. They can also replace lids, adapters, and risers to handle all of your septic tank needs.